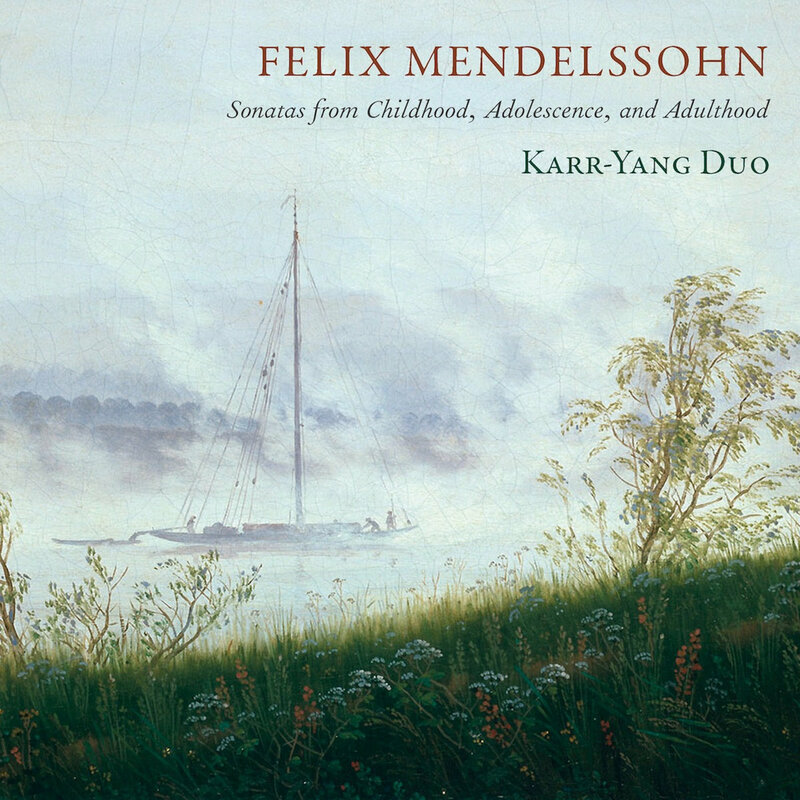 Fresh interpretation and technical brilliance imbue “Mendelssohn: Sonatas from Childhood, Adolescence, and Adulthood,” the first period instrument recording of this repertoire. This debut recording by the New York City based Karr-Yang Duo (Abigail Karr, violin and Yi-heng Yang, fortepiano) features three relatively unknown Mendelssohn Piano and Violin Sonatas, including the duo's own version of the unfinished 1838 F major sonata, and the stunning albeit incomplete Fragment in D.
Booklet Cover: Pen and Ink drawing by Felix Mendelssohn. Landscape of the cliffs at Amalfi. Signature on mounting paper. 15x21cm., ink. Used by permission from the Moldenhauer Archives at the Library of Congress. Fragment in D (1825), Autograph score: Staatsbibliothek Zu Berlin - Preußischer Kulturbesitz, Mendelssohn Archive.